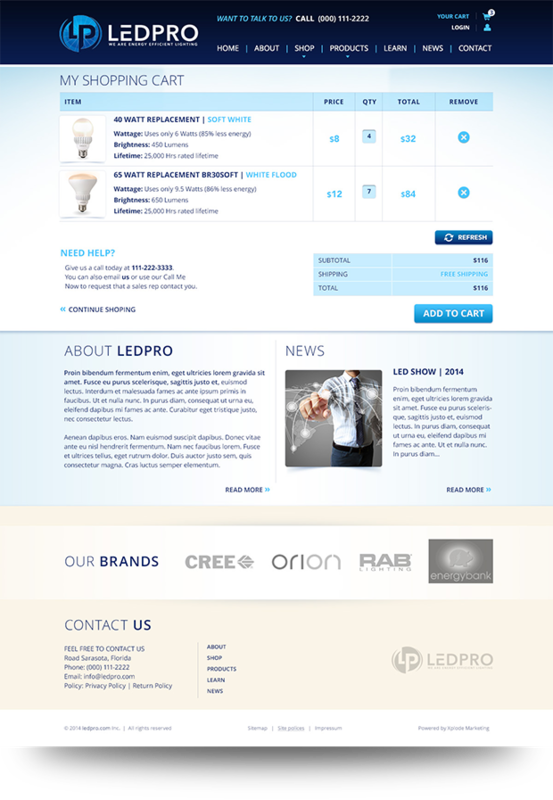 LED Pro is a new online ecommerce store focused on selling energy efficient LED lightings for all of your lighting needs. They came to us looking for a website that had a lot of structure, pushed visitors to make purchases, and develop the website so it was informational as well. 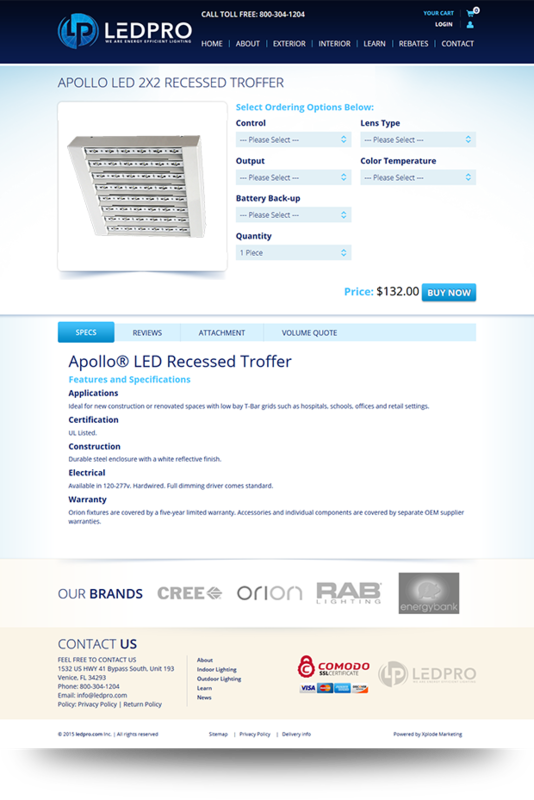 We went with the clean and vibrant LED look and incorporated some unique call to actions and a one page checkout that pushed visitors into paying customers.  The goal was to create a user friendly website that allowed their customers to browse their LED products and make a simple purchase. We designed and developed a one page checkout focused on converting their users into paying customers. We integrated this website into a content management system that allows the client to update all pages including their products, services, coupons, blog, pages, video vault and more. We’ve also used our SEO skills to create a program that has allowed him to be on the top for all of their products. 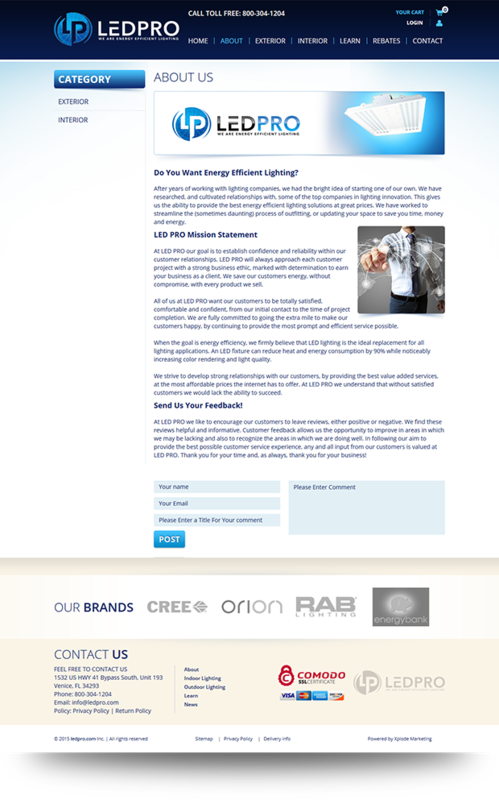 LED Pro is currently selling Orion products and has some of the best pricing in the industry on both the wholesale and retail side.